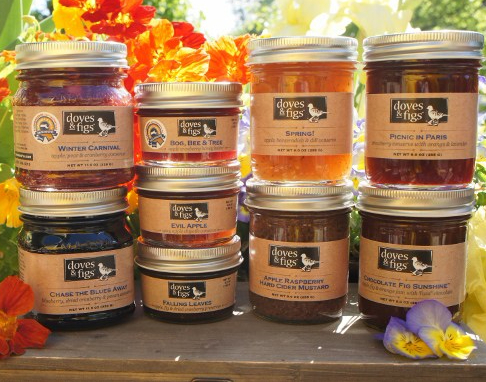 Doves and Figs www.dovesandfigs.com is an award-winning preserves company. We need someone with the skills and enthusiasm to work in our production kitchen in North Andover, MA. Kitchen experience highly desirable but we will train you in all aspects of our process. You will be involved in prep, cleaning, receiving, and will participate in farmers markets, store demos, and events. This is a hands-on part-time position with the hours including 2-3 week days (mornings) and some weekend days (20-25 hours per week). This is a year-round job not seasonal. Full-time opportunity possible. Doves and Figs kitchen is a fast-paced environment with a strong sense of teamwork and fun. This is a hands-on kitchen/event job and we are not looking for marketing, admin, or salespeople at this time. Please email jobs@dovesandfigs.com with contact information, a resume or list of experience, and availability.